Each year, on a Friday evening in early August, members of the Wesleyan and Middletown communities line Foss Hill or another Middletown slope with blankets and picnic baskets. They’ve come to watch young performers in the annual Middletown Children’s Circus, a summer program of Oddfellows Playhouse and the City of Middletown Commission on the Arts. Since the beginning of the summer, these elementary school children have been attending Circus Camp, held at the local schools and led by professional theater artists, assisted by young “artists in training,” and a big staff of teenage counselors. They’re learning traditional Big Top routines—juggling, walking on stilts, acrobatic stunts. An additional cohort of 50 or so volunteers have been working on sets and costumes, and a band of young musicians seated in a horseshoe formation on the field adds live music to complete the festive atmosphere. Although this summer program is invisible to most undergraduates, the community circus has become almost a rite of passage for Middletown children. It’s a seasonal branch of Oddfellows Playhouse Youth Theater. 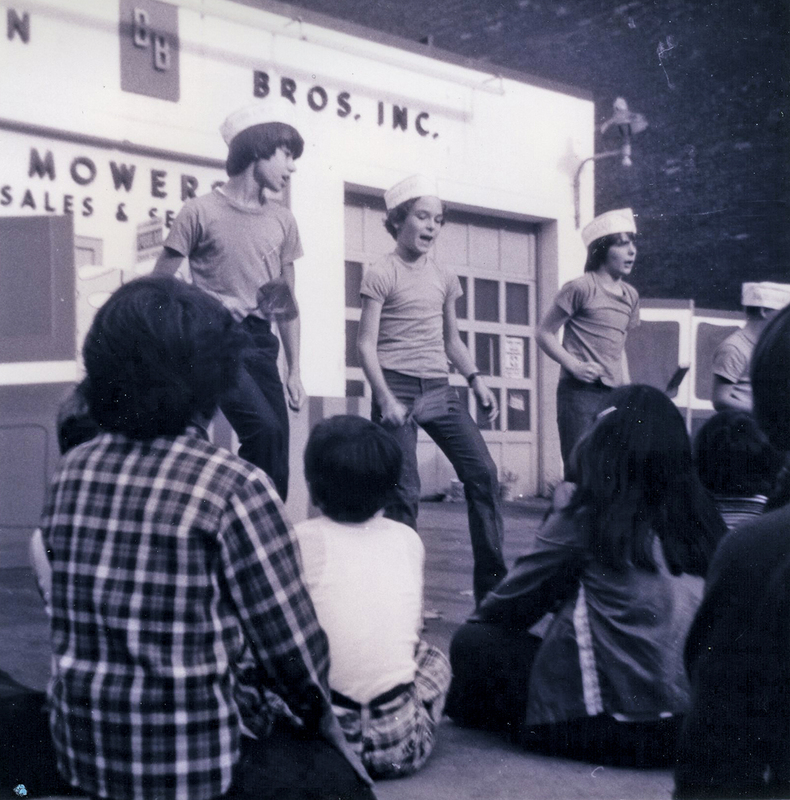 Two inspired students, Alida Jay ’76 and Nat Needle ’76, along with friends, began the theater in the the summer of 1975. 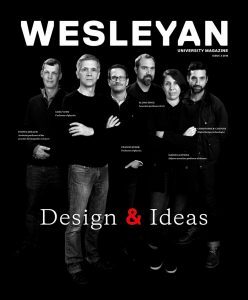 A theater major at Wesleyan, Needle, like many Wesleyan students, became an active volunteer off campus. He enjoyed working in the theater department in the local public schools, but was disappointed with the back-seat role assigned to nonverbal arts. Later, when he studied abroad, he made up his mind to create a non-school institution for young people to study art. Meanwhile, Jay, a College of Letters major, was teaching acting to students at the Maplewood Terrace housing project—something that had come about through a “fantastic chain of misunderstandings.” Needle, though, had heard of her work and thought she’d be a great partner in his art venture for children. The two applied for a grant to create classes on playwriting, movement, and stagecraft—“the skeleton from which Oddfellows emerged,” says Needle. And it kept going with a talented crew: Sandra Cohen ’77 and Dic Wheeler ’81 (who created the circus) offered their theater skills, while Dirck Westervelt ’82 and Eric Kuhn ’81 joined as musicians. On an ongoing basis, local alumni such as Mark Masselli HON’09 and Jen Alexander ’88, as well as student volunteers each year, have offered crucial support. As Jay and Needle approach their 40th Reunion, the little theater workshop they began while at Wesleyan is a thriving arts organization fostered by the larger Middletown community. Last year, close to 1,500 children and youth, ages 3 to 19, were in Playhouse programs, with about 150 in the Circus Camp. 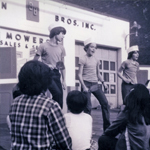 The funds raised from Oddfellows’ 40th anniversary celebration allow for new staff and a paid, full-time executive director to support and guide the plays, circuses, and classes that will challenge and excite young people in the years to come.